Parliament’s Communications Committee will start shortlisting candidates to serve on the SABC Board. The selection is expected to be made from 233-nominees. The SABC Board is currently without a quorum as it remains with only four non-executive board members. The Communications Committee says it will on Tuesday start to shortlist 24 candidates who will be interviewed to fill eight vacancies in the SABC Board. It says 24 shortlisted names will be published on Parliament’s website for public comment, for six days. This will be followed by interviews from March, the 5 to 7. Apart from being shortlisted and interviewed, candidates will also have to undergo a vetting process by the State Security Agency. The committee says the whole process of searching and recommending the best eight candidates to the House will be completed before the National Assembly rises in three weeks’ time. 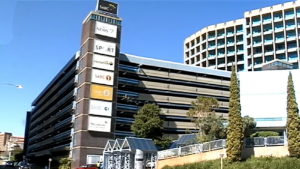 The post Parliament’s committee to shortlist SABC board candidates appeared first on SABC News – Breaking news, special reports, world, business, sport coverage of all South African current events. Africa's news leader..